Whether business is booming and you’re experiencing tremendous growth or simply adjusting to globalization and the unpredictable forces of market volatility, it’s necessary to review and re-evaluate your Inventory operations every once in awhile. You can learn an awful lot about what’s in store for your business by taking stock of your Warehouse Management Systems. Optimizing WMS is a tactical move for forward thinkers. Because companies are often vulnerable to outside forces, especially at this stage in the game (i.e., 3rd party reliance, industry fragmentation from sourcing to fulfillment, globalization, intermodal transportation variables) it can be difficult to manage how everything unfolds. How much inventory capacity do you currently have? How much will you need? Are you utilizing the space that you currently have effectively? How close is your inventory to the retail space? Who’s managing the Warehouse? For a lot of companies experiencing growing pains, it’s the litany of unanswered questions surrounding their daily operations that keep them up at night. Developing a tactical Distribution Center Strategy with an efficient WMS is vital and will positively impacts transportation costs to boot. Time to get your house in order. Scott Sheldon’s team of Supply Chain Engineers built their reputation early on by implementing tactical strategies for more efficient WMS. And now thanks to our partnership with QAD Cloud Based ERP, we’re capable of providing our partners will an even more powerful solution. We’ll review your Warehouse Management operation with an ear to the ground and an eye for improvement. We base it upon years of real world business experience. 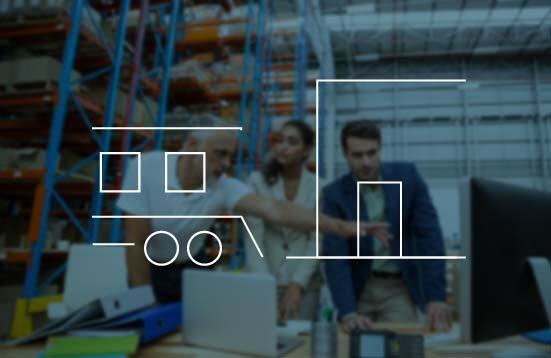 Strategy [Distribution and Transportation Optimization], Inventory Positioning and Deployment - Streamline with a better WMS solution and reap the benefits. Head the signs. Yield the savings. Take stock and know what’s in store for your business. Centralize tasks like tracking inventory levels, stock locations, and obsolescence. Optimizing your warehouse operations to keep up with changes in the marketplace [whether it concerns expansion or simply determining better use of the space you already have] is the low hanging fruit of supply chain management. Better choreograph distribution center moves, leverage those moves to serve the customer base, conduct data analysis of shipping history volumes, transportation structure, and labor rate assessment with applied demographics and local/state government incentives, as well as apply business intelligence for contracts, facility exit costs, and supplier locations. That's good for the whole "Loop".